Fancy visiting the Great Barrier Reef? You should do – it’s the largest living thing in the world, an underwater playground full of fish, turtles, sharks, coral and the occasional shipwreck. Stretching from the tip of Cape York to Bundaberg on the east coast of Australia, it mirrors the Queensland traveller route, meaning that there are dozens of amazing accessible places to dive along the coastline. The Great Barrier Reef is a fantastic place to learn to scuba dive, and is a must visit on most traveller’s east coast itineraries. The best place to dive the Great Barrier Reef depends on your diving experience, your budget, and what you want out of the trip. The good news is, whatever your tastes, the perfect spot for you will be somewhere along the 2,300 kilometre stretch of reef. 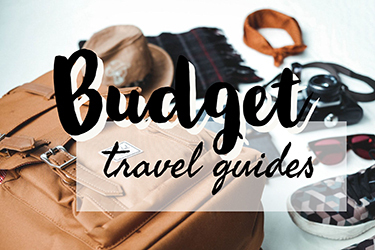 I’ve teamed up with a few other travel bloggers to bring you balanced reviews of several spots along the coastline! You might have heard that the Great Barrier Reef is dying; which unfortunately is true. But the reef is resilient, it has been threatened many times before. The main threat to the reef is the rising temperature of the ocean due to global warming. One of the best ways to help the reef is to follow steps like these to reduce global warming and encourage others to do the same. Furthermore, the ocean around Queensland, like every other ocean in the world, suffers from plastic pollution. 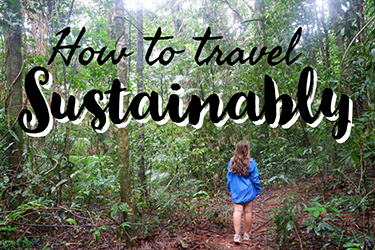 You can reduce your impact of plastic pollution by recycling (Australia has very good recycling systems), by picking up litter and by limiting your use of reusable plastics; products like reusable shopping bags, metal straws and reusable coffee cups help to cut down or even eliminate your plastic bag use. Check that your diving provider takes sustainable steps to help the reef, and make sure you don’t accidentally touch any coral. If you’re confident with your diving abilities, you could chat with the instructor about picking up any plastic you see on your dive. All that being said, I think that the Great Barrier Reef is still one of the best places to go diving in Australia – you just need to pick your perfect dive spot. If you are a first-time diver, somewhere busy with good rates for fun dives is great, but if you’re an experienced diver, maybe opt for somewhere quieter, where the reef is better preserved. Alternatively, a LiveAboard, while more expensive, will enable you to go much further into the reef; and there are options for all levels of divers. 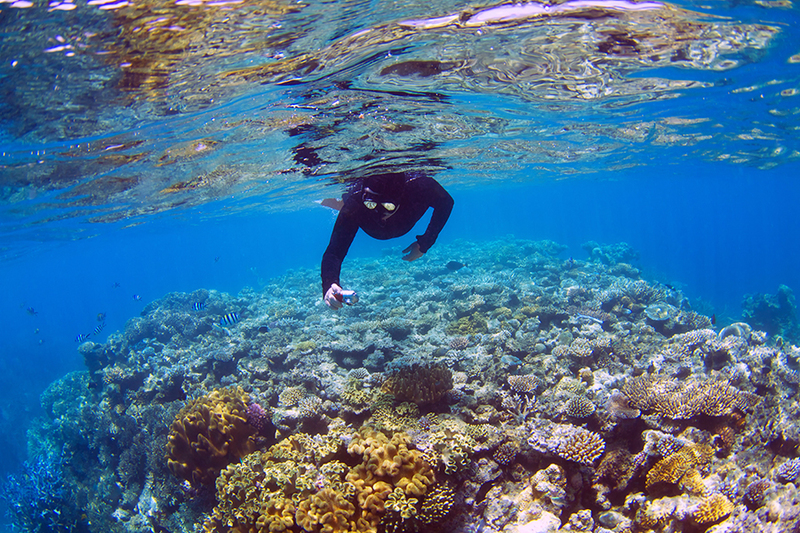 What About the Best Place to Snorkel the Great Barrier Reef? Of course, not everyone wants to try diving. Although diving for me is an amazing travel activity, it can be nerve-wracking and scary – especially for first-time divers. And some people just don’t fancy being completely underwater which is totally understandable. I completely freaked out on my first dive, I had to resurface three times and then my goggles fogged up, meaning all I could see was my instructor’s bright orange jacket. After that experience I really didn’t think that diving was for me, but it got a lot better from there. For those who don’t fancy diving, I’ve included locations that I deem to be the best places to snorkel the Great Barrier Reef as well. The advantages of snorkeling are that it is generally cheaper, you are at your own liberty to get yourself in/ out the water, you can do it with most health conditions, and it is safer. Snorkeling is a fantastic option for anyone wanting to get their feet wet (pun intended) yet not wanting to dive straight in (pun also intended). 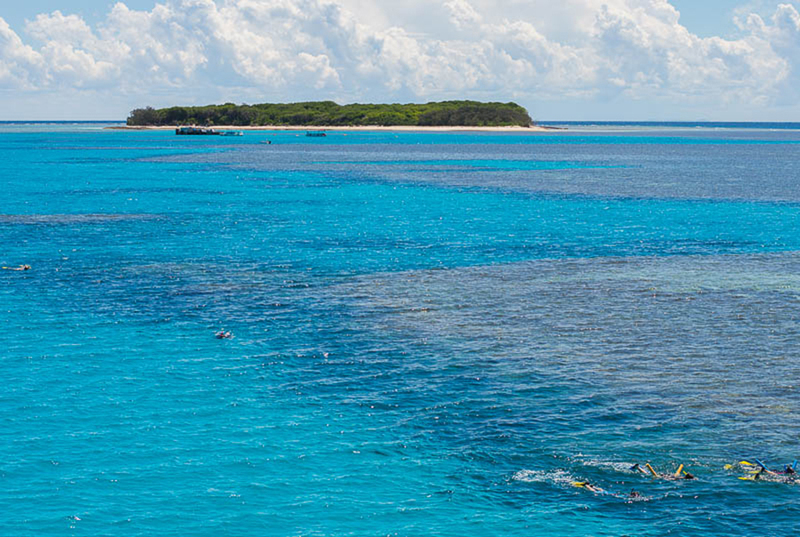 If you’re an off the beaten path type of traveller, you’ll love diving around Cape York. 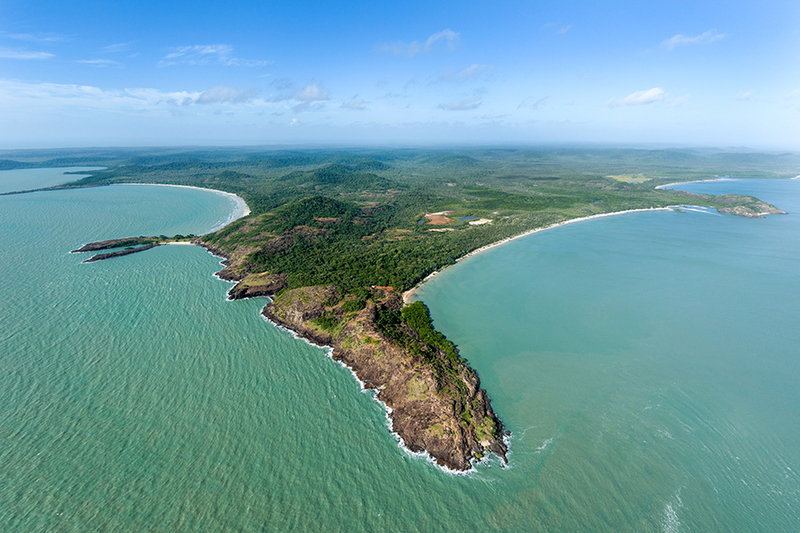 The cape is an adventure in itself – a journey to the tip of Cape York takes you to proper 4WD country, without sealed roads and through dense rainforest – and diving in the reef around Cape York is just as magical. It’s expensive and requires some time commitment – you must do a liveaboard to access the Far Northern Reefs – but it is one of the best-preserved areas of the Great Barrier Reef, untouched by mass tourism. If you’ve got some time and spare cash, and you want an adventure that you will remember for the rest of your life, think about taking a tour to the reef around Cape York. It will be an Australian experience like no other! Cape Tribulation is closer to the Great Barrier Reef than anywhere else in Queensland – here, you can travel from the Daintree Rainforest to the reef in just half an hour. There are currently no dive operators working in Cape Tribulation (it is a very small place within the Daintree National Park), but you can partake in a snorkeling tour with Ocean Safari. They offer half day tours, visiting two dive sites. The reef up here is fairly pristine and is a lot less touristy than Cairns. 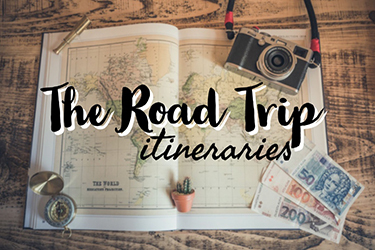 After your tour, you can enjoy the Daintree Rainforest and camp out in one of Cape Tribulation’s campsites before heading south back to Port Douglas and Cairns. Or alternatively drive north to the Bloomfield Track (which is 4WD only!) and Cooktown. Port Douglas is a fantastic location to dive the Great Barrier Reef. The Low Isles are a sandy cay located just 15 minutes from the town, which make for an easy exploration of the reef. If you have more time check out Agincourt Ribbon Reef. Located around 65 kilometres from Port Douglas, it is known to be one of the best dive and snorkeling sites in the world. There’s lots to see here and it’s not super touristy, so you’ll be able to enjoy the marine life in serenity. 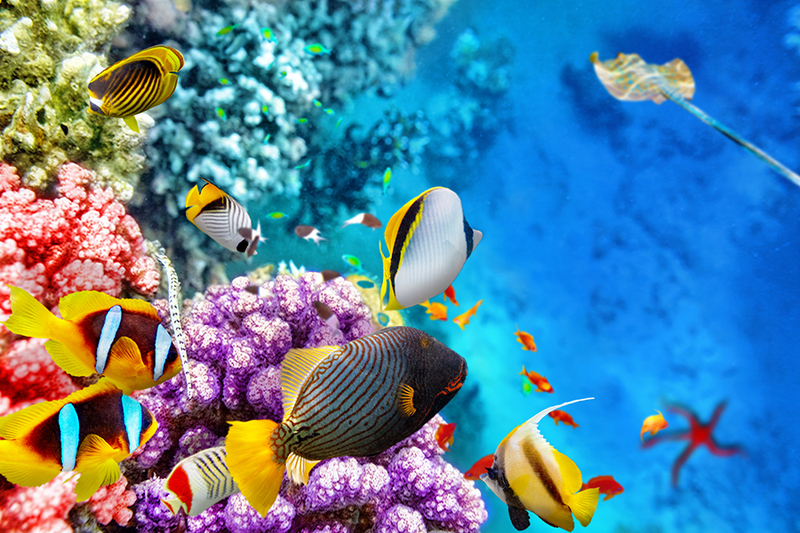 If you don’t fancy diving or snorkeling, Port Douglas is one of the best places to see the Great Barrier Reef by glass bottom boat or submersible submarine tour. There’s also plenty to do in Port Douglas after your time on the reef; including markets, restaurants, beaches and of course, the stunning Daintree National Park. Cairns is a fantastic place to learn how to dive; the range of tour providers means that prices are competitive and the dive schools are all high quality, with good instructors who prioritise safety. I booked a course a PADI Open Water Diving Course with Down Under Dive in Cairns, which involved two days of theory in the morning and learning the practicalities of diving in the pool in the afternoon. Days three and four of the course were where the real excitement began and we got to go out to the Great Barrier Reef itself to complete our four open water dives and become certified open water divers. I honestly find it hard to describe how epically amazing it was to fly underwater alongside and across the Great Barrier Reef. At the time, none of the coral bleaching that has since affected it had begun (which hopefully is a state that it is able to return to), so I was able to enjoy the reef in all its colourful glory, with teeming fish and the occasional shark floating around too! There were enormous clams, and of course, many Nemo and Dory fish. It’s really like being in another world. Diving is seriously addictive! Our instructor took extreme care to explain to us how important it was not to touch the reef at all, as even a touch can damage it for years to come. It’s so important that we do everything we can to preserve this beautiful ecosystem and wonder of nature. Learning to dive on the Great Barrier Reef is a bucket list experience, and there is no place better for it than Cairns. Cairns is also a fantastic diving destination for first-time divers who don’t want to commit to a full course – providers such as Ocean Freedom offer fun dives. You’ll go down with all the equipment linked to an instructor, who will check your air and other essentials. This takes away the worry out of a first-time dive leaving you at liberty to enjoy the reef! If you are a more experienced diver, Cairns is probably not the best place to go diving on the Great Barrier Reef. Read on for more options! In 1911, a tragic disaster happened near the Great Barrier Reef as the SS Yongala got caught in a cyclone and sank. But that wasn’t the end of its story. A few decades later, the shipwreck was finally found; covered in corals and surrounded by abundant marine life. Laying between 28-metres and 14-metres deep, it is now one of the best wreck dives in the world. The SS Yongala may be the busiest place you ever visit in terms of the number of fish you see at once. If you love marine wildlife, you’ll adore the SS Yongala. Be prepared to be overwhelmed with the big schools of small and big fish all around. Keep your eyes open for sea snakes, moray eels, beautiful rays (even manta rays sometimes! ), barracudas, turtles, giant gropers, Maori wrasse, sharks… just to name a few. The number of divers on the site varies a lot depending on the weather. A small boat from the dive shop on Alva Beach in Ayr, 1-hour south of Townsville, goes there every day. The wreck is located two nautical miles away from Alva Beach, so the boat trip only lasts 30 to 40 minutes. Bigger boats – and sometimes liveaboards – also visit the SS Yongala from Townsville and Magnetic Island when the weather allows. It takes at least 3 hours to reach the shipwreck from Townsville. The SS Yongala is in the open sea, not protected by any reef; if it’s windy, it’s choppy. But that’s only at the surface. Although there were 2-metre waves at the surface (tip: avoid to plan your trip during the cyclone season if you can! ), we didn’t feel the surge down at the wreck. Once underwater, the SS Yongala is an easy dive site to navigate where the only difficulties are the depth and… not knowing what to look at because there’s too much going on! Read this article for more information, photos and a video about the SS Yongala dive. It is a good option for advanced divers, although you can go down with just an open water qualification (you will need to be with an instructor and have some extra briefing or training). Townsville isn’t often thought of by travellers who are searching for the best place to dive the Great Barrier Reef, but it’s a very viable option. It’s right in the heart of the reef, so there is plenty of coral and marine life to see. I used Adrenaline Dive who also run snorkeling trips. The tour includes a full day trip to the reef and an introduction to the reef ecosystem. I have dived the Great Barrier Reef in several places and found the reef here to be alive with lots of coral and different types of fish compared to other highly touristy areas. We went to a site called Lodestone Reef which was about 90 minutes from Townsville by boat. We arrived at the reef, had morning tea and discussed the ecosystem and then it was time to dive. 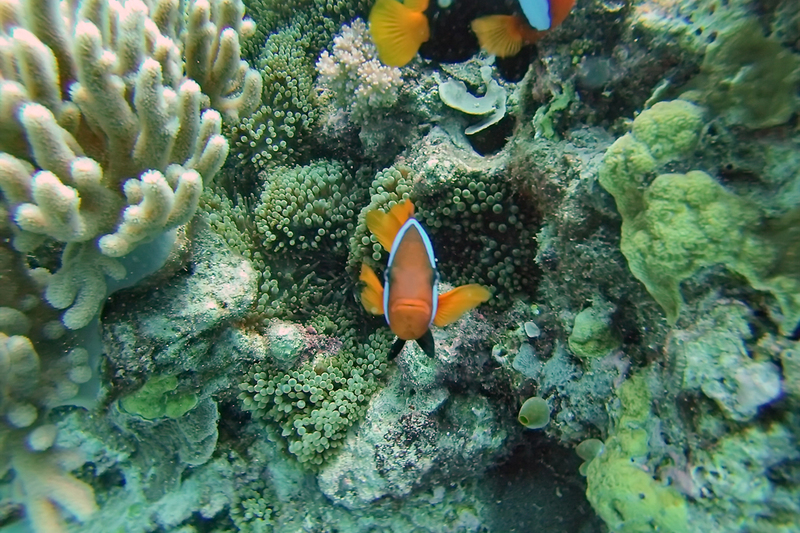 We saw lots of colourful marine life and coral – my only complaint is that it was too short! Magnetic Island is the best place to see the Great Barrier Reef for those on a budget because you can do self-guided snorkel tours. Ask participating retail outlets for swim cards, which you can wrap around your wrist and take in the water with you. The cards detail the types of reef and fish you may see, as well as guiding you along the snorkel trail. 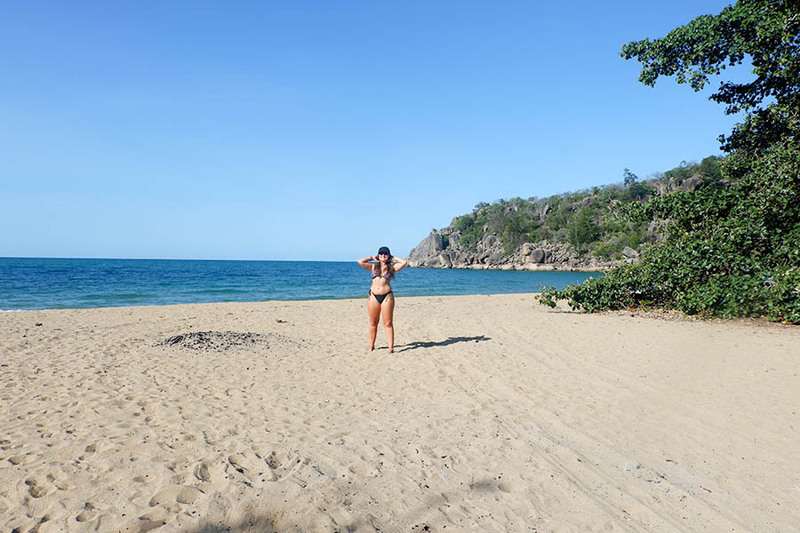 There are two snorkel trails on Magnetic Island – one from Nelly Bay and one from Geoffery Bay. Nelly Bay is great for beginners and is an easy swim, with lots of coral to admire. Geoffery Bay can be easy, but there are a couple of side-trails like the one leading to the WWII Plane Propeller which are only for strong swimmers. If you are snorkeling between November – April, be sure to wear a stinger suit as lethal jellyfish can hang around in the water then. Here’s some more information about the snorkel trails on Magnetic Island. Doing a Whitsundays cruise is a rite of passage for many Australia backpackers and travellers. 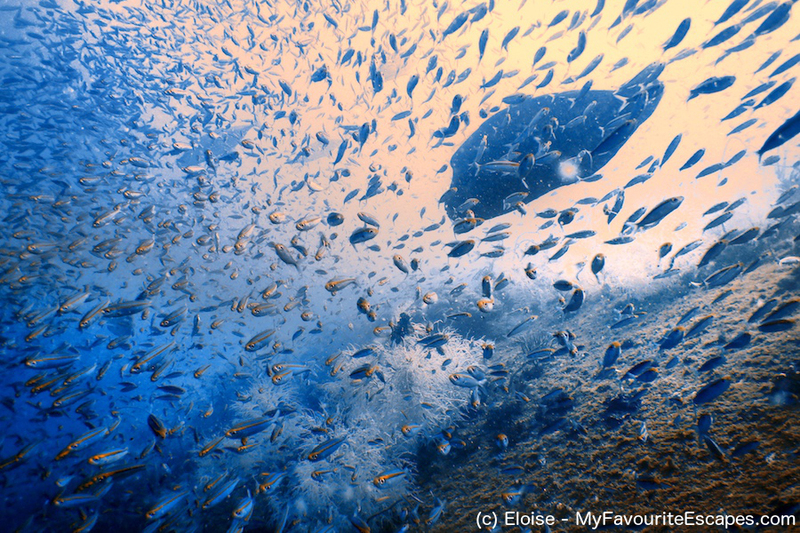 And for good reason: it’s an absolutely beautiful spot, teeming with underwater wildlife. The Whitsundays are a fantastic option for snorkelers, as there are many fish that swim very close to the surface, as well as turtles, manta rays, and reef sharks. In fact, most Whitsunday cruise operators will only offer snorkeling, because here it’s that good. A Whitsunday day or multi-day cruise will take you to some of the best spots to snorkel, and will include seeing some spectacular tropical fish and other animals. You can’t snorkel out from Airlie Beach, so make a Whitsundays Cruise a definite must-do on your Australia bucket list. 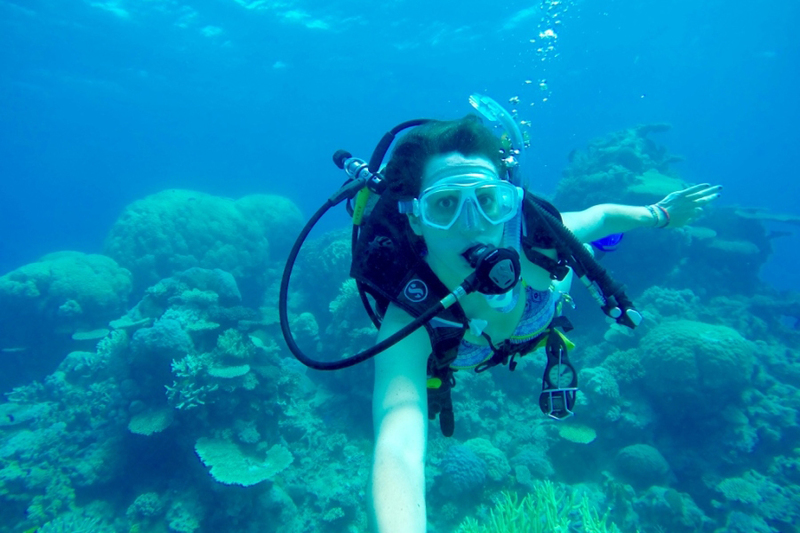 Having never snorkelled on my own before, I wanted to find a safe and easy place to see the Great Barrier Reef. Great Keppel Island fit the bill as the waters there are calm and clear. 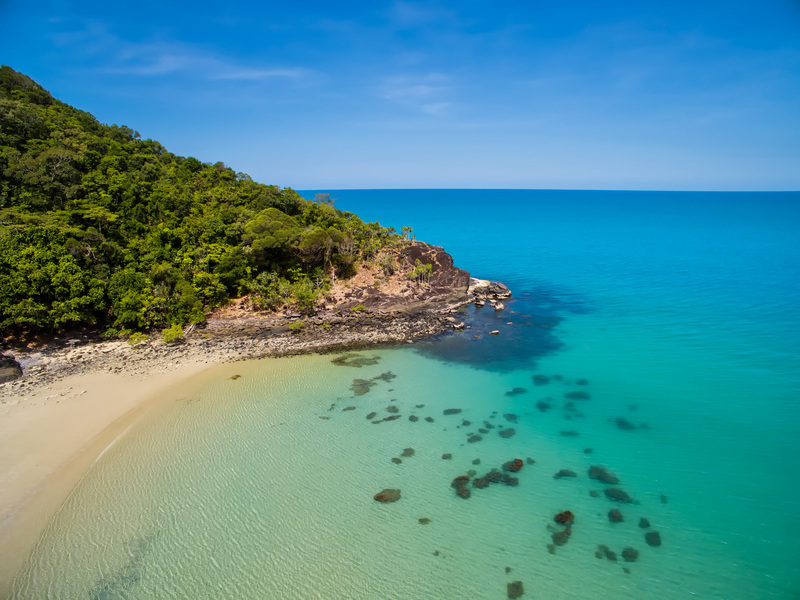 To reach Great Keppel Island, you need to get to Yeppoon, which is on the coast near Rockhampton. I booked a tour with Great Keppel Island Adventures and explained I’d be coming solo and was a little nervous. They were incredibly reassuring and helpful. The day I went was sunny and had blue skies. 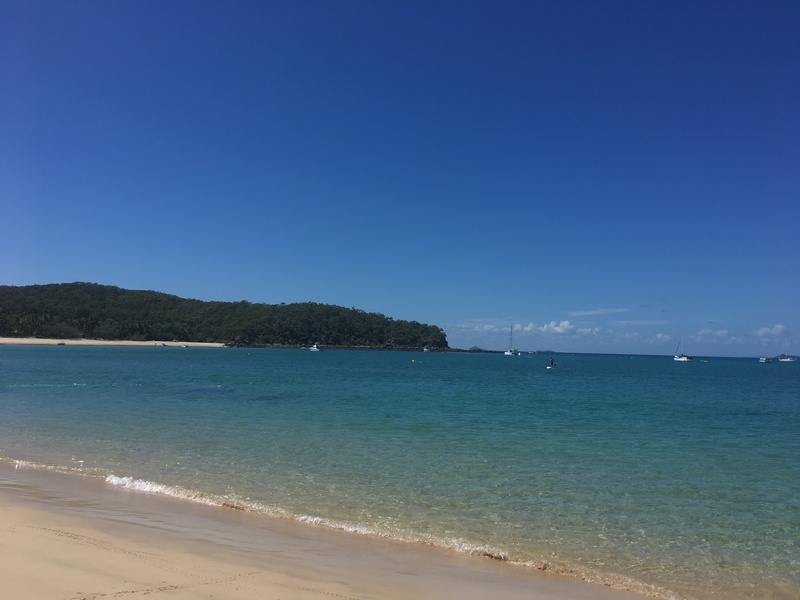 But even rain wouldn’t have spoilt the experience of arriving on Great Keppel Island – it is an absolute beaut! White unspoilt sandy beaches stretch all the way around the island. 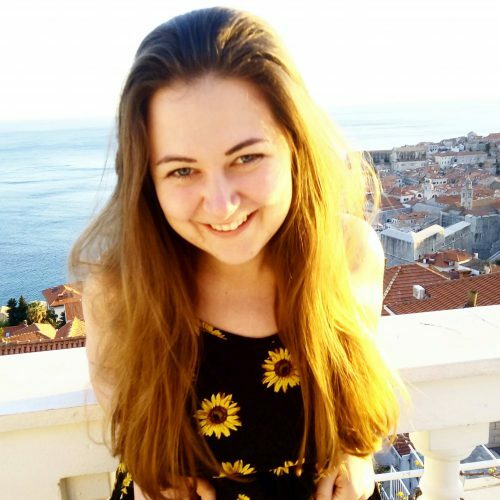 I didn’t need much coaxing when I saw the reef and I was very glad I’d opted for this tour; the fish and coral were incredible and I also saw stingrays! The instructors were very helpful and accommodating. There are plenty of reasons to visit Great Keppel Island, including bush walks, deserted beaches and scenic helicopter rides, but seeing the Southern Great Barrier Reef from here is an absolute must. Great Keppel Island Adventures also offer jet-skiing and kayaking tours and the company is run by a local who knows the island like the back of his hand. From Bundaberg you can explore the southern tip of the Great Barrier Reef. I experienced this part of the reef with the guys from Lady Musgrave Island Experience, who are one of the most popular Bundaberg dive companies. With the Lady Musgrave Island Experience, you can scuba dive as well as a join an introductory lesson, however, we opted just to snorkel. 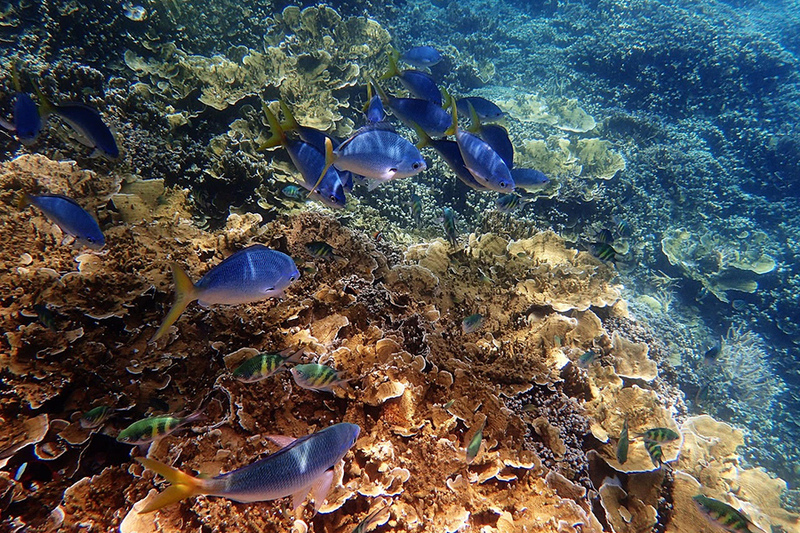 We found the reef rather similar to what we had experienced in Cairns, with brightly coloured coral and tropical fish. There were quite a few turtles which was pretty awesome – I think we saw around 7 during our time there! Many people also report seeing dolphins and manta rays during their snorkel; whilst heading back at the end of the day we saw stacks of dolphins and the biggest manta rays I have ever seen! These are less common in dive sites in Far North Queensland. Whilst I loved visiting the reef from Cairns, I preferred seeing it from the southern end, mainly due to the variety of wildlife. Not so many people think of exploring the southern end of the Great Barrier Reef, but it’s definitely one of the best things to do in Bundaberg. I hope that if you were wondering where to see the Great Barrier Reef, your questions have now been answered! 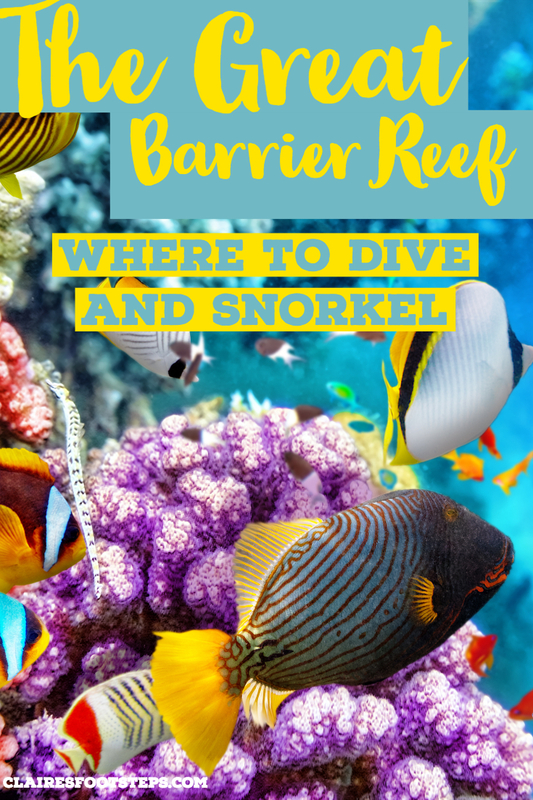 You may well end up doing a combination of dives and snorkels on the reef as you venture down the east coast – each dive site has something different to offer so check out as much as you are able to. The Great Barrier Reef is a wonderful, one of a kind place – just remember to respect it so it can be enjoyed by other travellers for years to come. If you enjoyed this post, please share it or follow me on Facebook for more.